Suspended foliage in antique style bottles creates unexpected natural glamour. 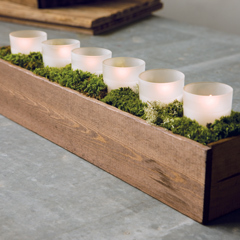 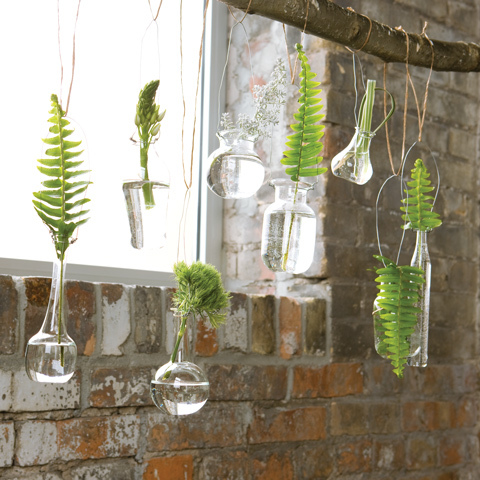 Simply place trimmings from your very own garden into each uniquely shaped bottle and hang from a branch, in a window, or above a table for an easy "do-it-yourself" display. 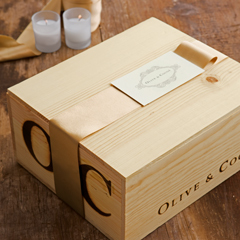 Varying in size and shape from 2" x 2 1/2" to 1" x 7 1/4" this set of eight bottles with thin wire loops for easy hanging comes gift wrapped in a hand crafted wood crate with ribbon.